Recent alumnus Brett Bowker (B.A., 2010) is bringing us his first film as a producer and cinematographer called “The Long Ride Home.” The film premiered last year at the Seattle International Film Festival earning a ‘Best of Fest’ selection, and also winning at the Santa Rosa International Film Festival VetsFest. The special screening will take place in CMU 120 on Wednesday, May 15 from 6 to 8 with a Q&A session with Bowker and director Thomas Lee Wright immediately following the film. Synopsis: In 2001, Kevin Mincio was an up-and-coming Goldman Sachs vice president with an office at 1 Liberty Plaza (next door to the World Trade Center) when the first plane hit the tower. In an instant, his life was transformed. He put his promising career on hold to enlist in the Army and was assigned at Fort Lewis, Washington, to America’s first Stryker Brigade. Deployed to Iraq, Mincio was assigned as a reconnaissance scout in the 5-20 Infantry Battalion. Though he would eventually come home, his Army buddy, Staff Sgt. Jesse Williams, would not be as fortunate. Sgt. Mincio made a vow to help care for Williams’ daughter and family, and later to do all he could for the families of fallen soldiers. With those goals in mind, he started the Team Jesse Foundation, and launched fundraising efforts like “The Ride,” a challenging bicycle trip of 4,200 miles over 95 days aiming to arrive at Ground Zero on the tenth anniversary of 9/11. 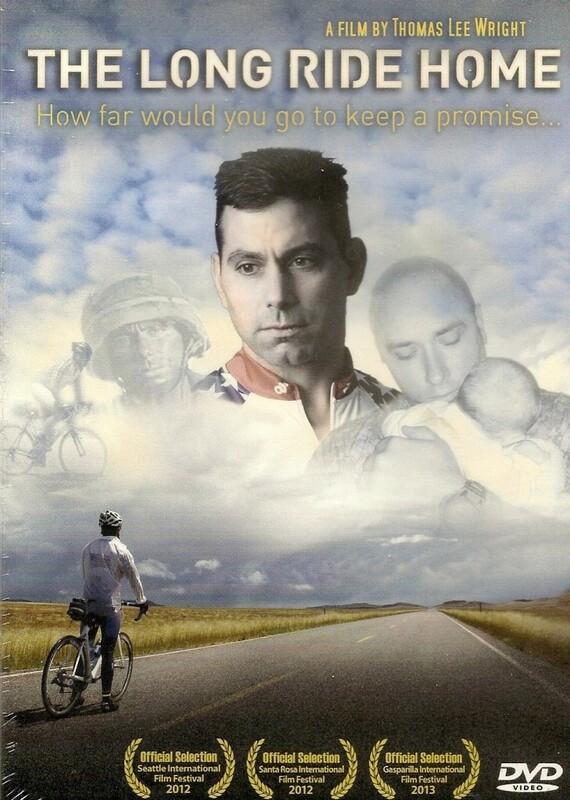 “The Long Ride Home” is the story of that ride – and of Kevin Mincio’s personal quest to honor the sacred promise he made to a friend and fellow soldier. Brett Bowker earned his B.A. in journalism at the University of Washington in 2010. After graduation he traveled to Europe and China. Having worked in lacrosse reporting in Washington State for several years, he discovered the story of Team Jesse and spearheaded the transcontinental filming effort as producer and cinematographer. “The Long Ride Home” is his first film of the beginning of a promising career. Thomas Lee Wright (director, producer, writer) has been making socially-conscious documentaries for more than 20 years, ranging from the definitive film “Trade Off” about the WTO protests in Seattle, which won the Golden Space Needle Award for Best Documentary at SIFF 2000 and toured with the International Human Rights Watch Festival, to an investigation of gangs during the 1992 LA riots called “Eight-Tray Gangster: The Making of a Crip,” which the Hollywood Reporter called “more sympathetic and frightening than any film on the subject.” It also premiered at the American Film Institute Festival and aired on the Discovery Channel.